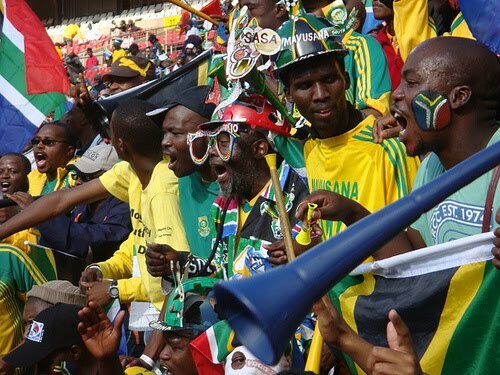 South Africa is in this World Soccer craze! 16 more days till the kick-off! Wherever you come and go you will see flags on cars, from all nations but of course SA rules! People are selling everywhere paraphernalia on the streets in all colors and shapes. You can buy t-shirts, jackets, flags, covers for your mirrors on the car, vuvuzela's, mascots, bandanna's... it is crazy!! 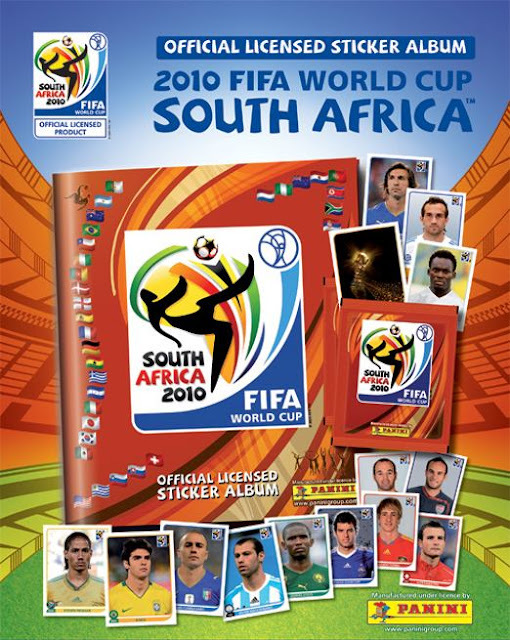 The countdown to the World Cup has really started with the arrival of the Panini stickers: 638 players, teams, stadiums and badges to be collected and stuck as neatly as possible – harder than it sounds – into the appropriate numbered slot in the album. The boys at school are trading these soccer cards. Buying and swapping football stickers is expensive and frustrating, but it’s also totally addictive! Although it is not only for the kids, I even heard stories of men AND women who collect these quite expensive stickers... if you like to fill your book completely it will be at least $100 and that only depends if you are lucky and get around with some quality swapping and without buying too many new ones, just to get that ONLY ONE you still need to fill the slot! Not only on the streets and in the shops it is World Soccer craze, also on the radio, all you hear is soccer, soccer, soccer. But at least they have some great theme songs. I don't know why there are 2 official theme songs, but these 2 call themselves both the official theme song for the Fifa World Cup 2010. Maybe somebody can explain to me why there are 2?? Anyway, they are both FAB songs! Here the official FIFA World Cup song by K'naan. K'naan born Keinan Abdi Warsame in 1978, is a Somali-Canadian poet, rapper, singer and instrumentalist. Born in Mogadishu, Somalia, K'naan spent his childhood in Mogadishu and lived there during the Somali Civil War, which began in 1991. His aunt, Magool, was one of Somalia's most famous singers. K'naan's grandfather, Haji Mohamed, was a poet. He is Muslim, and his name, Keinan, means "traveler" in the Somali language. He spent the early years of his life listening to the hip-hop records sent to him from America by his father, who had left Somalia earlier. When he was 13, K'naan, his mother, and his three siblings, older brother, Libann, and younger sister's naciimo, Sagal were able to leave their homeland and join relatives in Harlem, where they stayed briefly before moving to the Toronto, Ontario neighbourhood of Rexdale, where there was a large Somali Canadian community. His family still lives there. In his new country, K'naan began learning English, some through hip hop albums by artists like Nas and Rakim. Despite the fact that he could not speak English, the young K'naan taught himself hip hop and rap diction, copying the lyrics and style phonetically. He then also began rapping. 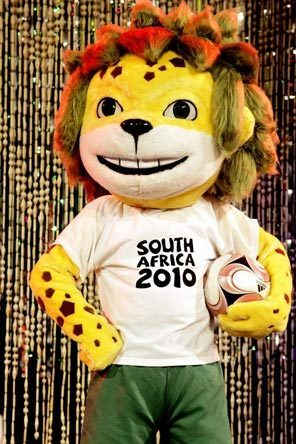 But there is another official theme song from Shakira ~ Waka Waka ~ this time for Africa! Both great songs that sweep the nation and you hear it on the radio's all day long! Me and the girls are going 8 weeks to Thailand, and 6 weeks we will be on our paradise island Koh Samui, relaxing and just listening to these FABULOUS songs on the Ipod while relaxing under a palm tree with some fresh coconut juice.... hmm I can't wait to leave this mad house!! Have a good one y'all! Whatever you do during the World Cup, ENJOY it!! The only reason why there are two songs is that the African people wanted the song to be from a local person, while the official organisation already chose Shakira to be the singer. I completely agree with the African people keep everything local as there is a lot of talent in Africa. But the local person is not that 'local' either?? He is not from SA but from Somalia and he lives in Canada. 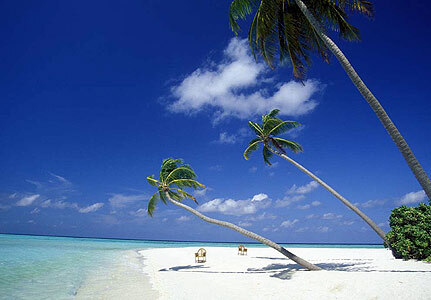 Get out of the madness and hit the beach!!! :-) So excited for you! Going to be a wonderful time for you and the girls! Both songs are cool and I am with you in getting out of the madness - I only wish we could join you! I will have to ask you about where you will stay after the fact - since it will most likely be us spending 4-6wks in Thailand next summer!!! Wow, that must be a crazy big event- like hosting the Olympics big? Or Carnival? I'm sure it is a lot of fun, but I probably would decide to escape to peace as well!